The thunderbold, the iruke, cemeteries, a skirt made of nine colors, a rainbow, the flamboyan tree, purple fruits and vegetables, such as eggpants and plums: flowery prints also belong to her and masks. Her main symbol is a copper crown with nine points, from which hang the working impliments of several of the orishas, especially Oggun and Ochosi. Among her other attributes are an ox cart, a machete and a hammer. BEVERAGES: Aguardiente, red wine, beer. COLORS: All colors except black, her main color is wine, she likes flowery prints which her initiates must never wear. DAYS OF THE WEEK: Friday, which is chosen by the Orishas to inflict punishments on those who have broken the law. FOODS: White rice with eggplant and small balls made of pigeon peas. Rice with fish, rice with corn, rice with sesame seeds and rice with black beans are also among the favorites food of Oya, as are yams and chocolate pudding. HERBS: Altamisa, cambia voz, yanten, vergonzoza, tamerindo, verbena, espanta muerto, caimito, maravilla, palo rayo, marpacifico, cimarron, palo hacha, palo caja, granada, baria, guasimilla and meloncillo. NECKLACE: Her main necklace is made of red and brown beads with white and black stripes. Among her other necklaces there is one made of violet beads with yellow stripes and another alternating white beads with nine black beads. SACRIFICES: She-goats, pigeons, black hens and guiena hens. TABOOS: Rams, Palm Oil, Her initiates wearing floral prints. Oya is the orisha or storms and changes. She is a much feared orisha due to her powers as she can create a storm so powerful that she can destroy towns upon towns. The winds, tornadoes and lighting are at her every command. Oya also known as Xansa, Oya Yansa (Mother of Nine) was the wife of Ogun before Chango took her away from him. Oya is said to be a lovely tall amazonic woman who is dressed in a wine color dress with a belt that holds a grass skirt with 9 different color cloths. Oya is also the owner of the market place where she would go and sell her goods to maintain her children. Oya’s main home or domain is the cemetery. Now a lot of people say or believe that she is the owner of the cemetery. That’s all not true. Oya is the gatekeeper. She stands at the cemetery gates and she lets the dead into the cemetery where her sisters Obba and Yewa tends to the body. Oya is a great warrior who loves to go to battle alongside her husband Chango. Stories say the Oya would put on a pair of pants and grow a beard just to fight like a man at war. Oya has a younger sister named Ayao who is the orisha that resides in the clouds in the sky. It is Ayao that gives her sister Oya the ability to take the spirits of the dead to go fight alongside her which makes up her powerful army. Oya has brought down many men, many towns and many lands. But as a warrior she protects her children with a strong look and with her destruction she brings changes. Whenever there is a storm that brings destruction, change is needed to rebuild. Sometimes the land is expanded for new homes or new business. That’s Oya. She has helped all the orishas in one time or another. As well she has feuded with the orishas at one time or another. Oya is the one that convinced Obba to cut her ear to feed to Chango. Oya is the one that brought down Osain’s gourd where he kept most of his secrets of the herbs. She also had a feud with her sister Yemaya in which she does not eat ram anymore. At one time she did but due to that disagreement she doesn’t anymore. Let me clear something. Oya and Yemaya are not enemies. The only dilemma between them is the ram. It is said that one day Chango was eating with his mother Yemaya and Oya and with his court and Oya saw that he was giving all of his attention to his mother and Oya became very jealous. Oya saw that Chango gave his mother Yemaya first bite of the ram and since that day, Oya said she will never eat it again. One of Oya’s characteristics is the wind that causes hurricanes. Hurricanes come off the coast of Africa where her town is and logically, a hurricane needs the assistance and strength of the ocean to come on shore to bring change. Chango was at a party one day having the time of his life. Chango was drinking and dancing like no ever. He was swaying his hips and showing all his sexual masculinity. His crown was kept firm on his head as every moment he did, it did not move. That was to show all that he is truly Chango, a king. Everyone in the party was enjoying Chango and was cheering him on. The great king of Oyo kept on drinking and did not realize that some of his enemies were outside of the party noticing Chango. The party was dying out and Chango decided to leave the function. He went around the room giving his good bye to everyone. He was eyeing some of his mistresses that were there to see if they would go home with him. Chango staggered to one of the corners of the party where his enemies were hiding. Within a minute, his enemies grabbed him and tied him up. No one in the party saw and Chango was taken to a cell where his enemies kept him. Days passed by and Chango was no where to be found. Oya who was married to Ogun already had left Ogun and had a fling with Chango. Oya also did not hear anything from Chango. She did notice that Chango had left his pilon (a wooden pillar that Chango sits on) and his mortar (where Chango hides his secrets) in her house. Oya grew very weary and was worried about Chango. But besides her worries Oya was very inquisitive and wondered what was so special about Chango’s pilon and mortar. She moved the red cloth that was covering his pilon and mortar and saw nothing special about it. When she touched the mortar she noticed that it had a gleam to it. Inside the mortar there was some kind of clear liquid that vibrated. She looked closer and an image started to form in the liquid. In the image in the mortar was the face and body of Chango. Oya saw that Chango was being held captive by his enemies. She saw that he was locked in a cage fit for a dog and his enemies were surrounding the cage making mockery of him. Oya looked harder into the mortar and saw that Chango was in a rage but he couldn’t do anything because he didn’t have his oshé and his powers. Oya grew upset and lighting sparks started to form in her hair. She yelled up in the sky and called for a centella (lighting) to come and help her and she would ride it to find Chango. With that the image of Chango’s face reflected in the liquid and Oya grabbed the liquid and put it to her lips, as in to kiss the face of her loved Chango. In that instant Oya’s lips and mouth started to burn her furiously. She staggered back and forth wondering where the heat was coming from. She ran outside of her house to where she had a well to grab some water. The water did not do anything to ease the pain. She finally opened her mouth as she could not stand the burning sensation and when she did a huge fireball came from her mouth. Everywhere she turned and screamed out, fire was released from her mouth and everything was burned on fire. At this moment a centella crackled in the sky and fell right to her feet. Oya screamed and stepped onto the centella. The centella rose to the sky and Oya was standing on it and the centella proceeded to take her to where Chango was held captive. In a second the centella was above the place where Chango was kept and when the centella started to come down, Oya who was riding it screamed a war cry and fire was released from her mouth. Another centella came from the sky that broke the locks that were holding Chango. When Chango’s enemies saw Oya coming down on a centella breathing fire they all ran for cover. Chango was wondering how was he released and when he ran outside he grabbed his oshé and he saw his mistress Oya standing in the fields surrounded by centellas that crackled around her and that she was breathing fire. Chango was reluctant to run the other way because he never saw Oya in this state. Oya sent another centella to grab Chango and he to was standing on a centella alongside with Oya. Chango started to throw thunderbolts with the help of his oshé while Oya was throwing lighting and fire upon the enemies of Chango as they rose into the sky together. They both arrived at Oya’s place safe and Chango was still in amazement of Oya’s actions. He told her that the only one who knew the secret of him throwing aiña (fire) was him and that secret was kept with his pilon and mortar. Oya turned to her lover and told him that she looked into his mortar and tasted the secret that he had there. Chango was upset that she discovered his secret but he was grateful that she saved him. From that day when Chango goes into battle, his mistress Oya goes in alongside him fighting. Oya’s feast day is February 2nd. She is associated with Our Lady Teresa and Our Lady of Candelaria. Her number is 9 and all its association. Her color is maroon or a dark wine. Oya also takes 9 other colors that are her children. Those children make up the rainbow and they live in the skies making the crown of the orisha Ochumare. She is the queen of the dead. Oya is the official secretary of Olofi. She knows when life is being born and when life is dying. She is the air we breathe everyday. Oya stands at the cemetery gates and she marks down every body that comes through the gates of ile iku (cemetery). In the house of the priest, Oya lives in a brown or wine color tureen where her secrets and mysteries are kept. Some houses have her with water and some do not. I believe she shouldn’t be with water. The only time I put water on her is to calm her down when she is upset and to refresh her. She also takes an iruke that she uses to clean the dead and clean new paths. Her crown is made up of copper in which that is her main metal. All of her tools and weapons are made up of copper. Oya’s sacrificial animals are black female goats, hens, pigeons and guinea hens. Oya’s children are very outgoing and strong willed people. There are very spiritual individuals at they have the gift if used correctly, to communicate with the dead. She is initiated on the heads of her followers in which is a lengthy and mysterious procedure. Her ceremonies are one of the most gorgeous due to all of the many colors that are used. Her zarasa (the throne of the dead) is made up of multiple plates that are placed for the dead. These plates range from 29 all the way to 209 plates of different offerings to the dead of her initiate and the spirits that her initiate collects to walk alongside her. Oya is the owner of the mask as she at times is wearing one. Some people say that no one can stand to look at the face of Oya because it is too horrific to look at. I don’t believe so. I believe that she is a beautiful woman; she just doesn’t like to be messed with or fooled with. She is good to use to take masks off of people who you believe that are being two faced with you. She is also good to use when one wants change in their lives. She is a good healer but she loves to defend and be at war when war is present. Ayao is the younger sister of the orisha Oya. Ayao is said to reside high in the clouds of the sky or at the top of the cieba tree. She is said to sit there and help guard the spirits that pass through her clouds to reside at the kingdom of Olofi. Ayao is an orisha that is given to the children of Oya. Now any priest or priestess can receive Ayao. Her secrets are kept in a tureen that is kept high in the house of the priest. This orisha can never touch the ground as her ceremonies are done on top of a table. It is said that when an initiate of Oya is performing their consecrating birth, the spirits that they pick up are tended by Ayao. When Oya is getting ready for battle she calls her sister Ayao who releases those spirits to aide Oya in battle. She is not initiated on the heads of anyone. What a great way to kick off the month of July on Candeolo’s Corner on KDCL Media. Tonight at 8pm edt, Candelo’s guest will be Catherine Yronwode. ‘Miss Cat’ has been a reader and rootworker for most of her life. She is a writer, teacher, graphic artist, web designer, perfumer, and herbalist, a minister and a member of the Board of Bishops of Missionary Independent Spiritual Church, a founding member of AIRR, and a member of the board of directors of the Yronwode Institution for the Preservation and Popularization of Indigenous Ethnomagicology (YIPPIE). I am a pastor at the Crystal Silence League and am listed at Hoodoo Psychics. Along with her husband, Nagasiva she owns the Lucky Mojo Curio Company, manufactory for spiritual supplies. 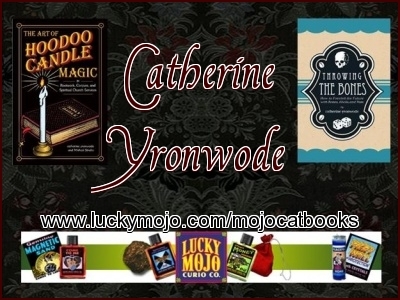 She is also host of the Lucky Mojo Hoodoo Rootwork Hour on BTR, and the author of many books including Throwing The Bones, and The Art of Hoodoo Candle Magic. On Monday, June 3, 2013 and Monday June 10, 2013 at 8pm edt, Candelo Kimbisa welcomes esteemed scholar and Elder, Eoghan Ballard, PhD to Candelo’s Corner on KDCL Media. 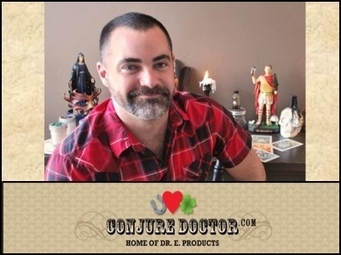 Tata Eoghan Ballard, PhD, will be sharing with our listeners the history of Quimbanda, Candomble, and Umbanda, traditions of Brazil. Eoghan Ballard has been involved in cultural and spiritual research since childhood. By the age of 9 he had begun to explore and study the dream experience and by 11 was beginning to explore alternate religion and spiritual traditions. In his teens he had traveled to and studied in Ireland, learning traditional culture, music, and language becoming fluent in Gaelic language and studying traditional Gaelic spiritual traditions. 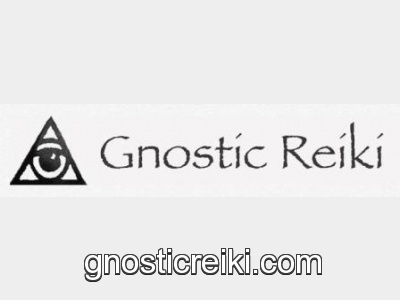 This included eventually looking into the metaphysical and spiritual aspects of the Celtic Revival’s leaders such as George Russell (AE) William Butler Yeats, and S. L. Macgregor Mathers, studying systems like Tarot, Yoga, Meditation, Golden Dawn, Freemasonry, Umbanda, OTO, and of course Reiki. He was initiated in Cuba as Tata Nganga Dibilongo in several ramas or orders of Palo including Quimbisa, and is a practicing Vodousaint. Eoghan attended Philadelphia College of Art before receiving a BA in English Literature from Temple University, and both a Masters and Doctorate in Folklore and Folklife from the University of Pennsylvania, where he worked for 15 years. Additionally, he also has taught at various area colleges including local community colleges and served both as a Professor in Social Sciences and an academic campus dean in New Jersey. He has been invited several times as a guest lecturer for the Dept. of Religious Studies at Swarthmore College. 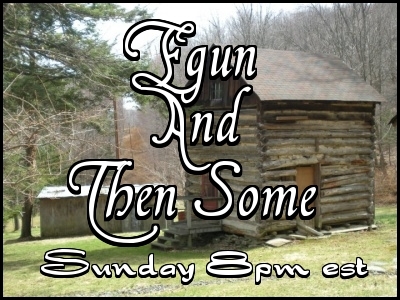 Monday, March 4 at 8pm est, on Candelo’s Corner, Host Tata Candelo and KDCL founder and producer Miss Paula team-up for mini readings to bring you messages from the ancestors and nfumbe. Tata Candelo is a priest of Palo Kimbisa of more than 20 years, and Miss Paula has read Tarot more than 30. 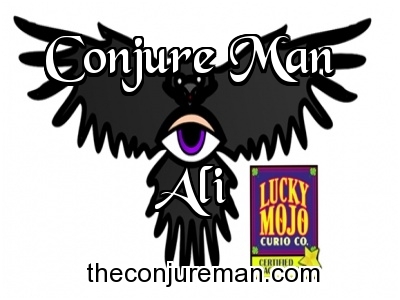 This dynamic duo has a combined 50 years experience of divination and conversing with the spirits. Call in and hear your message.